-- Joe Mixon, I'd say is 60-40 to play...for those hoping Gio works again this week. -- Joe Haden back for the NE game is 50-50...what a nice bonus that would give the Steelers. -- KC put i's starting center on IR...he's been out for weeks, one of the reasons why KC has been sliding. -- DeAndre Hopkins...who knows? I would be shocked if he sat to avoid the Jags. -- Leonard Fournette...I'd say 80% to play. He hurt his quad in last week's game and went on to rush for 100+ yards. -- Kyle Rudolph and Blake Bell out...David Morgan a sleeper for a TD this week. -- New Browns GM John Dorsey shooting his mouth off about Sashi Brown and Kenny Britt...look forward to more years in the abyss. If I were an NFL General Manager, I wouldn't say two words to anybody about anything. What's there to gain? I would watch Bill Belichick interviews and duplicate them of saying nothing. The fact that a GM is out shooting his mouth off about the prior regime, and we've all seen this type of person in whatever line of work we're in...it's a poor character/small self-confidence person that comes in spouts off in public all the previous regime has done wrong. Is there anyone who doesn't realize the previous regime is bad? Why do you think you were hired, John? Dorsey's claim to fame is being part of the team that drafted Aaron Rodgers, as a director of college scouting for 10+ years (200-2011) of an underachieving Packers franchise. He wants us to forget one of his first moves as new KC GM was signing Dwayne Bowe to a 5-year/$56M deal. He'd also like us to forget Kansas City was solid, but under performed in the end during his years...and his drafts we're 'meh'/randomly good-bad. His one GM job, the KC job 2013-2017...the team was solid but they chucked him out, unceremoniously anyway after 4+ years...and that NEVER happens unless there is an issue behind-the-scenes. So, Dorsey is dumped in June 2017, from a solid team that just won their division...and if you wonder why -- just look at Dorsey running his mouth 15 minutes after joining the Browns. His big move so far is to run-down the previous GM in public and endorse the magical Hue Jackson. All these idiots in Cleveland deserve each other. I pray he drafts Sam Darnold and gets flushed down the toilet with that weaker-armed Jake Locker. -- Mike Davis practicing in full means -- LET'S GO!! All-in on Mike D.
-- Trevor Siemian out for the year/forever...so, do the Broncos go Paxton Lynch Week 16? If so, Washington DST Week 16 may not be the worst thing ever. -- I have some holiday matters to attend to the second half of today and the first half of Saturday. So, Week 15 projections update need to happen after the Injury Reports tonight but before the Saturday games starting 4:30pmET. 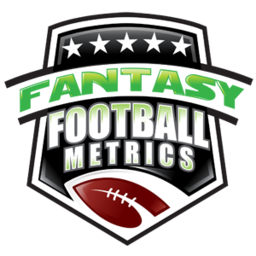 Look for the Week 15 projections update in one of two spots...before 10amET Saturday or around 2-3pmET Saturday before the games kickoff. -- Final two game recaps from Week 14 hit today, one around/before noon the other later tonight, after 6pm. -- The Broncos-Colts analysis from TNF Week 15, I'm sure your breathless with anticipation for, is planned to post Saturday night. -- Blazing Five...I'm going to post mine Saturday morning (after going through Friday injury reports), so you have them to work with if you want to and then I'll add the group ones later in the day.